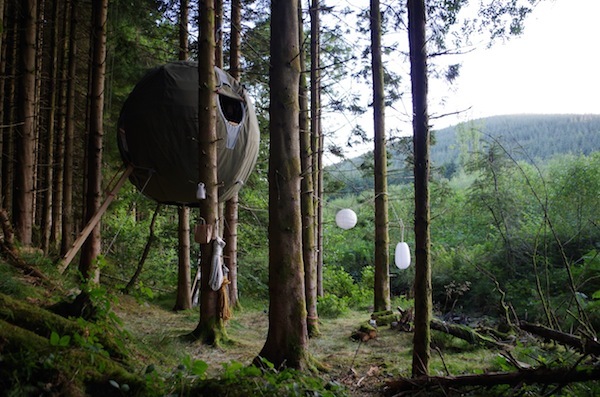 Sheepskin, the award-winning collection of stylish and unique holiday properties, has launched the UK’s first ever ‘tree tent’. The Red Kite Tree Tent, situated near Builth Wells in Powys, Wales, is a tree house with a twist, fusing elements of conventional camping and log-cabin living to create a unique ‘glamping’ experience. Set high amongst the trees within 80 acres of private woodland, the tree tent has been cleverly created by UK design studio Luminair to have minimal impact on, and to blend with, its natural environment. The ingenious construction of the Red Kite Tree Tent – essentially a giant 3m orb suspended from the trees and created from a lightweight hybrid aluminium static airframe – forms a beautiful structure both inside and out. Designed to comfortably accommodate two adults, the tree tent features a double bed, log burning stove and “en suite” facilities deck with sink, loo and outside shower. There is also a stream side decked area that incorporates a fire pit perfect for alfresco dining day or evening. The tree tent is fully wool insulated to withstand all weather conditions for enjoyment all year round and electric power inside means that you don’t have to leave all modern luxuries and gadgets behind should you not wish to. The Red Kite Tree Tent is as close to nature as it gets – a totally remote hideaway with birds eye views of the surrounding Welsh forest which attracts barn owls, woodpeckers and red kites. 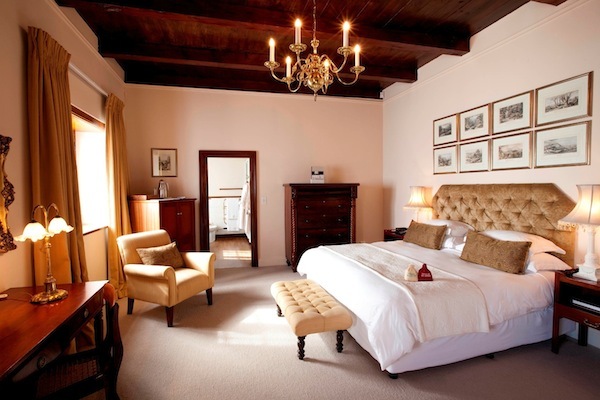 As with all Sheepskin stays, guests will receive a fully bespoke guide to the area that is tailored to their preferences as well as a special welcome hamper. There is also the option to combine a stay in the Red Kite Tree Tent with a stay at another Sheepskin property, Red Kite Barn. Set within the same forest, both properties can be booked together to enjoy the best of both worlds – a unique tree house experience followed by more luxurious living in a magnificent rustic chic barn. The Red Kite Tree Tent has had a taste of fame after featuring on Channel 4’s ‘Amazing Spaces’ and a replica of the tent will showcase at Grand Designs Live (4th – 12th May 2013, Excel London) where visitors will have the chance to explore it inside and out. Luminair will be exhibiting the Tree Tent in the ‘Grand Village’ which highlights eco homes of innovation and environmental awareness. Available now, a stay in the Red Kite Tree Tent costs from £299 for two people staying three nights or £670 for a week long stay.